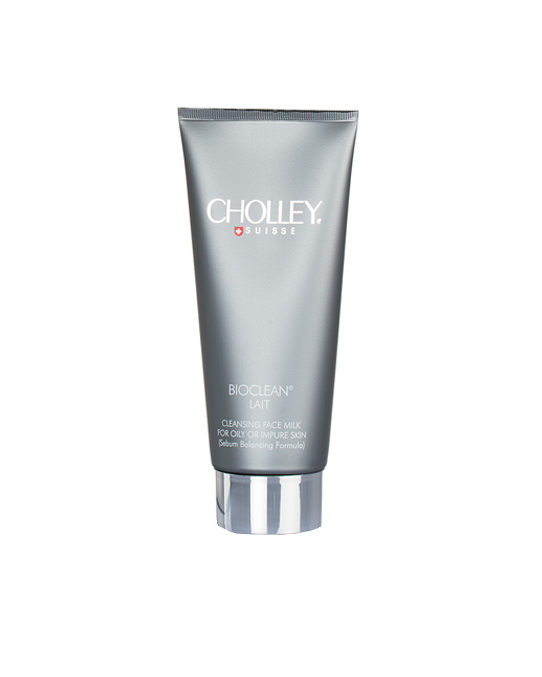 A perfectly balanced purifying and cleansing milk for mixed, oily and impure skins. It penetrates deep into the epidermis to remove oil, dirt, and other impurities, without drying the skin, to avoid the stimulation of the sebaceous glands. BIOCLEAN® Lait purifies, eliminates excess sebum, and normalizes the epidermis. Rich in vitamins, amino acids, and other sebum-normalizing agents, it leaves the skin looking healthy and matt. In the morning and evening, apply BIOCLEAN Lait on the face, neck, and décolleté. Massage delicately with the fingertips in circular motion to accelerate penetration. Rinse off with lukewarm water using cotton disks. After tap-drying the skin with a soft towel, tone with BIOCLEAN Lotion. For mixed, impure, and oily skins.